Celebrate the beginning of spring! 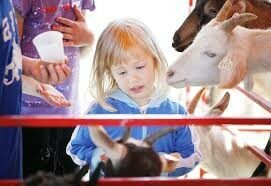 SpringFest is a family-friendly event with over 40 exhibitors. Featuring live music from some of the top upper Midwest and local bands, a classic car show, dozens of local vendors, a kubb tournament and more. Proceeds go to the Chippewa Falls Rotary Foundation to be used for charitable causes in the community. Enter to win one of two pairs of tickets.